Release Message: A patron is accidentally transported to a bar (which resides between parallel timelines), is shown the consequences of their current life actions, and the potential outcomes for their behavior and choices. This, ultimately, leads to a karmic dilemma, and forces the patron to make a life-altering choice. Starring Matthew Humphreys. Description: The first online community-developed network television series. Online users pitch their own ideas for scenes and twists online, using a tool designed by Will Wright called the Storymaker. Some are eventually chosen by the production staff, and are utilized to help create a new episode every week. 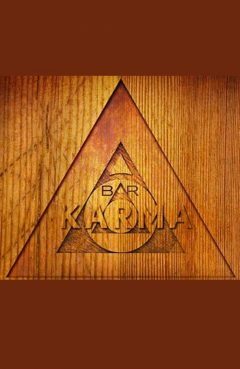 The main plot revolves around a bar known as "Bar Karma", a bar that resides someplace in between parallel timelines. Up until now, the typical structure of the shows consists of a patron accidentally walking into or being transported to the bar, where they are shown the consequences of their current life actions, and the potential outcomes for their behavior and choices. This, ultimately, leads to a karmic dilemma, and forces the patron to make a life-altering choice.